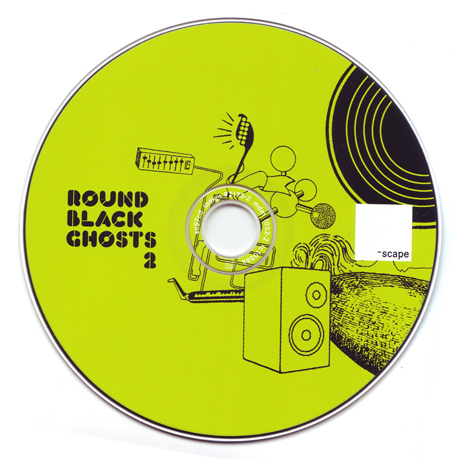 ~scape once again embark on a journey to the still seldom explored territories between dubstep and techno with part two of their quality „Round Black Ghosts“ compilation. I gladly provided the press release for this endeavour (as I had already done the first time around). You can download my original German text here or check the lovely English translation there. The CD will hit the shops on the 13th of February. 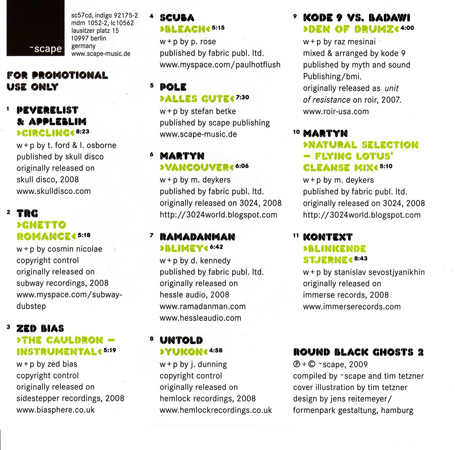 If you’re in Berlin tonight, don’t miss out on the „Round Black Ghosts“ release party at Club Transmediale festival.